The weather has been too nice around here lately not to take advantage of it — mostly because I know what’s coming and I’m not looking forward to it. 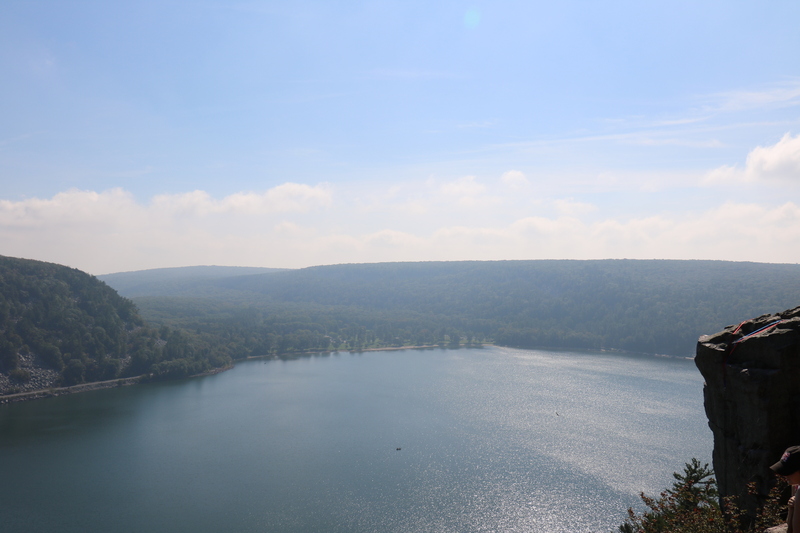 So, Philip and I made last minute plans to visit Devil’s Lake State Park outside of Baraboo, Wisconsin. 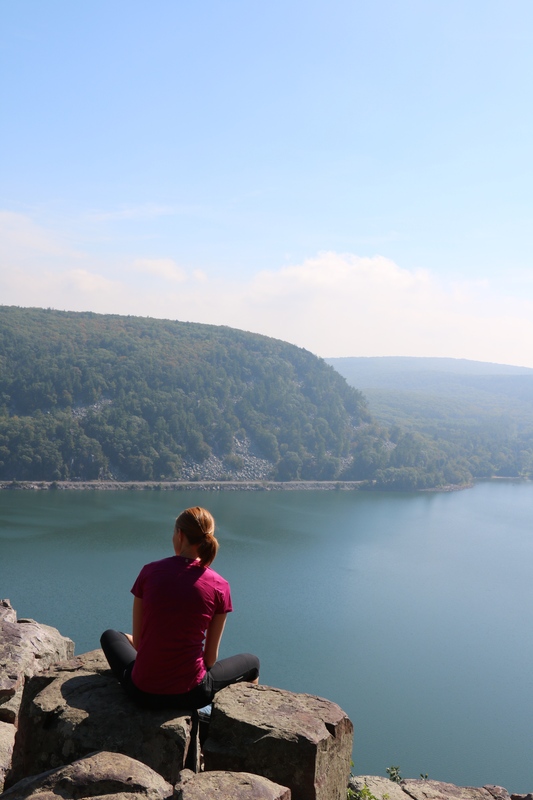 It’s a popular place for camping, hiking, picnics, and more. Several people had the same idea as we did, because it was a happening place! 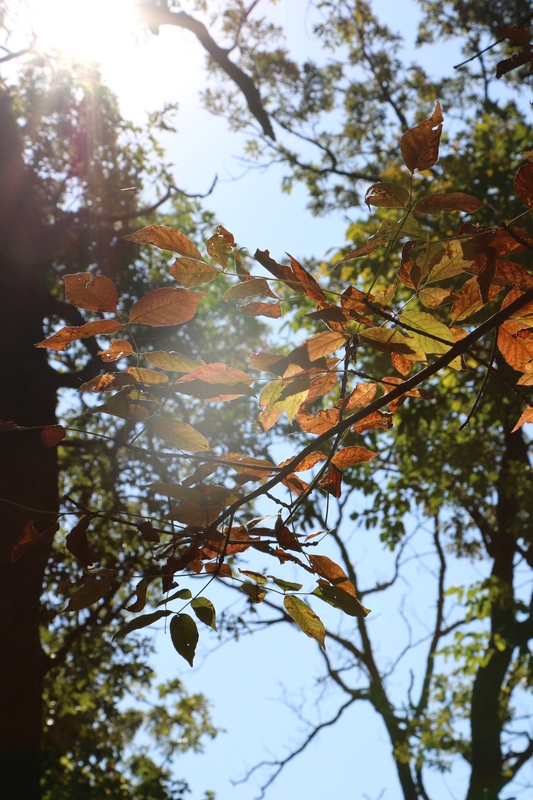 Even though the leaves hadn’t completely changed colors yet, it was still beautiful to see all the foliage and to witness the start of the changing seasons. Gosh, I love fall. After a busy few weeks for the both of us with work, it was so nice to spend the entire day hiking, taking pictures, enjoying a packed lunch by the lake, and just enjoying being with each other. All in all, it was a great day. I’m so glad I finally was able to see this place I hear about all the time! I’m already looking forward to when I can go back. I know, I know…this recipe looks like it’d be extremely time consuming, complicated, and not worth the effort. I promise you, it’s definitely worth the little effort it takes to put these together. 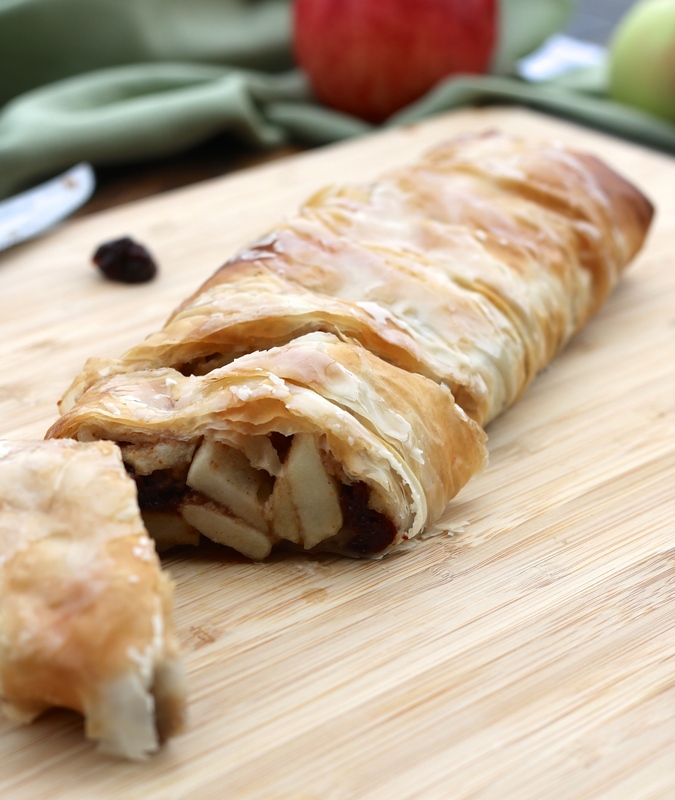 45 minutes tops and you have a strudel in the oven. Not to mention, you can make up three strudels at one time, bake one to enjoy now, and freeze the other two for when you need them. 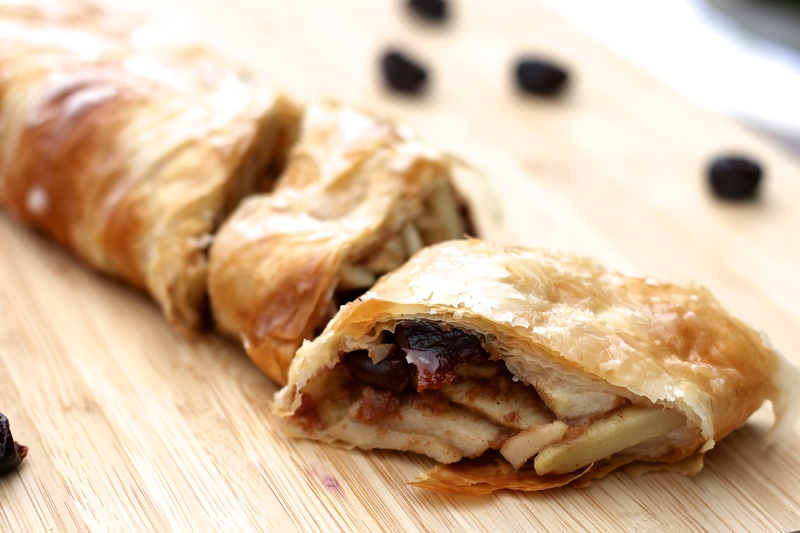 With the help of phyllo sheets, which are paper-thin sheets of dough found in the freezer section at your grocery store, it has never been easier to get flaky, crispy crusts that rival any pastry at your favorite bakery. Just by layering sheets on top of each other and gluing each layer together with a butter-oil mixture, you are well on your way to a mouthwatering dessert. Seriously, how have I not used these sheets before?! 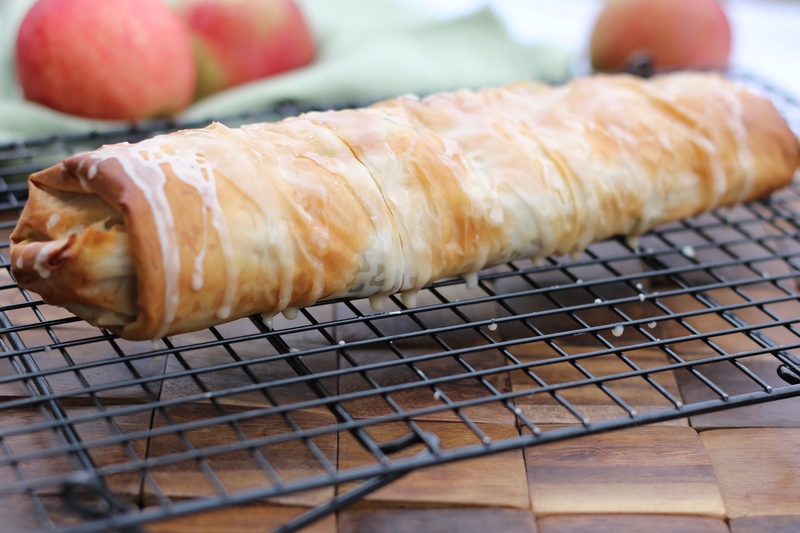 The strudel is good enough alone, but why not “gild the lily,” as Rachael Ray always says, and add a little cider glaze on top? I think yes, that’s a great idea. 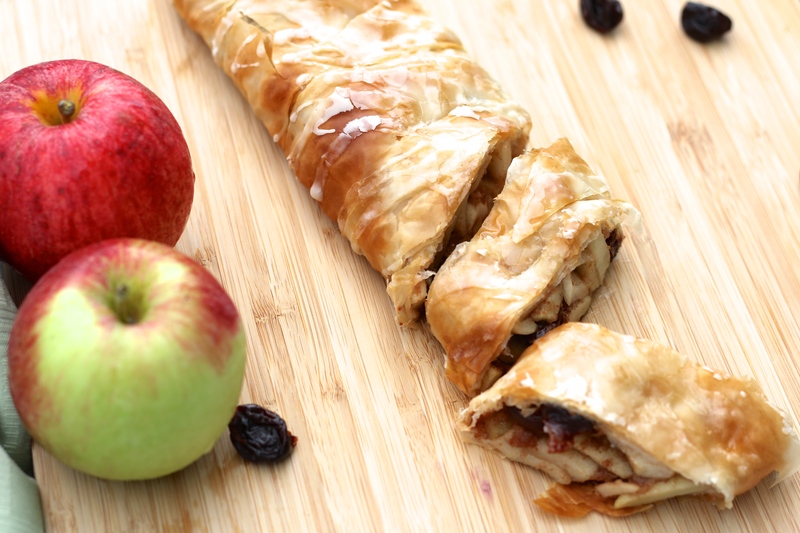 Whether you just went apple-picking and are looking for yet another apple recipe to use up your bags of apples or you’re simply in the mood for a fall-inspired breakfast or dessert, this is what you want to try. Position rack in lower third of oven; preheat to 450°F. Line a large baking sheet with parchment paper or a silicone mat. Combine cider and cherries in a small saucepan. Bring to a boil over high heat. Remove from heat and let cool. Mix apples, sugar, breadcrumbs, lemon juice, cinnamon, and salt in a large bowl. Drain the cherries, reserving the liquid for the glaze. Stir the cherries into the apple mixture. Combine the butter and oil in a small dish. Lay a piece of parchment paper, cut slightly larger than a sheet of phyllo and place it on a clean work surface. You are going to make 3 strudels, using 6 sheets of phyllo for each. Place one sheet of phyllo on the parchment with a long side facing you. Brush with a little of the butter mixture over the entire sheet. Repeat, stacking 6 layers total, brushing each with some of the butter mixture. Place one-third of the filling (about 2 cups) in a long wide strip about 1/2 inch from the bottom of the phyllo, leaving about 1 inch on both short sides. Fold the short ends over the filling, then loosely roll up from the bottom. Place seam-side down on the prepared baking sheet. Make 2 more strudels the same way, placing them all on the baking sheet. Cut 3 slits into the tops. (If you are only wanting to bake one strudel, wrap the unbaked strudels in plastic wrap, individually. Then cover with aluminum foil. Place in the freezer until ready to use). Bake the strudels until golden brown, 15 to 17 minutes. Cool on the pan on a wire rack to room temperature. 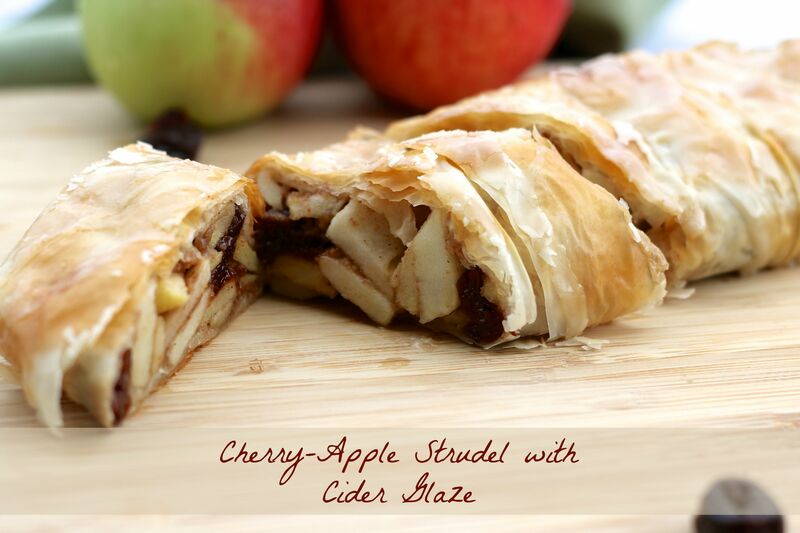 To prepare the glaze, mix powdered sugar with 3 tablespoons of the reserved cider. Whisk together, adding slightly more cider, if needed, until desired consistency. Drizzle lightly over the strudels.